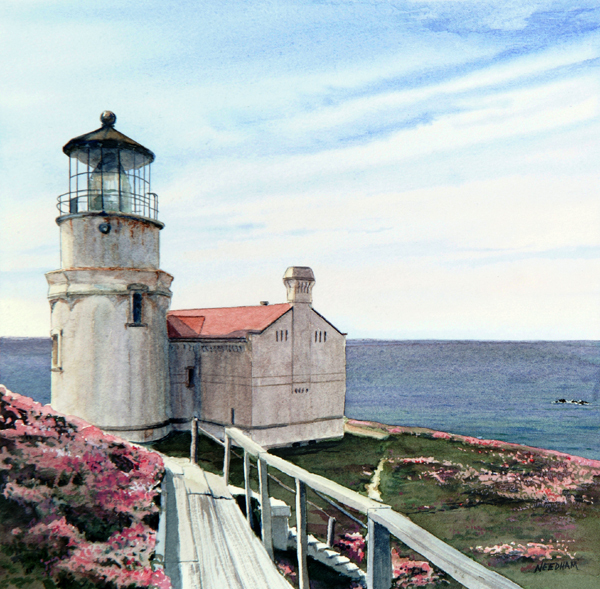 The light station at Point Conception at the west entrance to the Santa Barbara Channel on California’s coast was built in 1856. It suffered not only from a catalogue of construction disasters, but also from being built too high up the cliff to be effective in foggy conditions. The tower was finally abandoned in 1882 and a new station was erected lower down this hazardous stretch of cliffs, The station was automated in 1973.